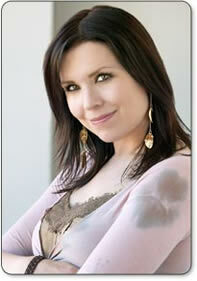 Annie Duke has more in the money finishes at the WSOP than any other female player and won a WSOP bracelet as well. She isn't just one of the best female players, but one of the best players overall. 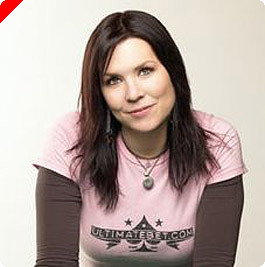 Annie Duke was born in Concord, New Hampshire on September 13, 1965. She grew up in a family that had competition and cards in the blood. Playing cards was the glue that held the family together, and everybody not only wanted, but needed to win. Annie's father was a teacher, her brother Howard Lederer became a professional poker player and her sist er Katy wrote a book about the Lederer family: Poker Face: A Girlhood Among Gamblers. Annie went to Columbie University where she majored in both English and psychology. She was awarded a NSF Fellowship to attend graduate school at the University of Pennsylvania where Annie studied psycholinguistics. In 1991 she proposed marriage to an old friend, Ben Duke and moved to Billings, CO.With the help of her brother she began to play poker in local poker rooms to pay the mortgage on their first home. In 1994 Annie's brother suggested she should try her hand at the WSOP in Las Vegas. She finished 13th on her first tournament, knocking Howard out of play. After winning $70,000 in her first month of competition Annie and her husband made the move to Vegas, so she could become a full time poker player. Over the next ten years, Annie established herself as one of the best poker players in the world. In 2004, she beat 234 players in the WSOP $2000 buy-in Omaha Hi/Lo Split and won her first WSOP bracelet. In August of the same year, Annie knocked out 8 of the worlds' famous poker players and won $2 million in the No-Limit Texas Hold'em winner-take-all, invitation-only WSOP Tournament of Champions. In 2004 Annie also recieved considerable publicity for tutoring Ben Affleck, who went on to win the 2004 California State Poker Championship. She also divorced Ben in 2004, becoming a single mother of four. Annie has several nicknames, including "Annie Legend", "The Duke", and "The Duchess of Poker", and unlike her brother, is known for being som ewhat emotional at the poker table. Duke is one of many poker players that take issue with the restrictions placed on players during televised tournaments. Although the players pay mandatory entry fees to enter tournaments, some venues do not allow players to wear sponsorship logos. Duke raised some controversy when she made a statement in a news article regarding this issue: "We are not even slaves. We're people paying to pick the cotton." She refuses to play in women's only tournaments, saying that "Poker is one of the few sports where a woman can compete on a totally equal footing with a man, so I don't understand why there's a ladies only tournament." Annie's autobiogaphy,Annie Duke: How I raised, folded, bluffed, flirted, cursed and won millions at the World Series of Poker was erleased in September 2005 and is still a hit.